Girl Scout programs at the Cradle of Aviation include Journey Awards and Skill Building Badges for Cadettes, Juniors, Brownies, and Daisies. Programs are 1.5 hours, 2 troop leaders required and admitted free for all programs. A minimum of eight scouts are required for all Girl Scout programs. Sorry, non-scout siblings are not allowed in Scout programs. Explore the night sky, learn about constellation legends, and make a star finder. Experiment with glow in the dark and fluorescent objects. Discover the dark world of bioluminescent creatures. $16/Scout. Earn the ENERGIZE award by exploring different forms of energy. Investigate renewable energy sources and find out how energy is conserved on Earth and in space. Start to earn the INVESTIGATE award by planning how to improve energy use. $16/Scout. Be a solar system scientist! Learn about the planets, their distance from each other, how old you would be living on their surface, and so much more! Participate in hands-on activities to uncover mysteries of planets, design a travel brochure and even walk the solar system! $16/Scout. Can you solve a mystery at the museum? Analyze fingerprints, decipher secret messages, and look at clues closely under a microscope. $12/Scout. How can you find chemistry in the kitchen? Play with static electricity, create a chemical reaction, and make a slime polymer! $12/Scout. Discover important inventions in the history of aviation. Check out some women inventors, brainstorm your own ideas, and make your own invention! $12/Scout. Daisies will discover what it means to recycle and why it's important! They will learn how they can recycle things in their own neighborhood, how nature recycles, and how they can cut down on garbage. Each scout will make and bring home a flower seed planted in a small pot made of biodegradable materials. Seeds can be watered with recycled rain water. $12/Scout. Have you ever looked up at the sky and think of traveling to space? Join us to explore the wonders of the Sun, Moon and stars. Discover how shadows form and change, learn the tools used to stargaze and observe our neighbor moon! $12/Scout. I like to move it, move it! Daisies will explore the parts of a robot and their movement while playing. Act like a programmer, learn basic problem-solving skills and make your robot move through a maze of obstacles. $12/Scout. 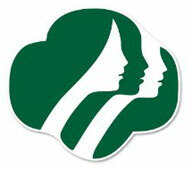 Want to learn more about the Girl Scout programs? Please use the form below or to make a reservation, call 516-572-4066 (M-F, 10-4).